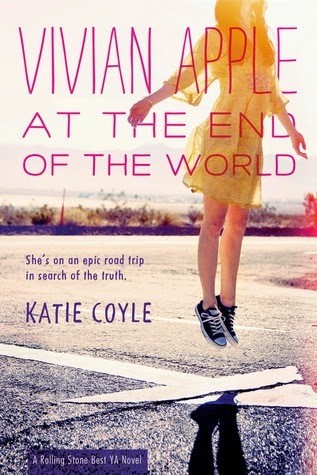 Review: This is a YA book with no love triangle and no 'instant' love connection. Both huge 'wins' for me, so thank you Katie Coyle! This is about a religious cult that has penetrated main stream America. After 'Rapture,' Vivian and her best friend Harp's parents have both disappeared. The girls and a boy named Peter end up on a roadtrip to see if they can find out what happened. Now I'll be honest here-I loved the idea of the book and the religious cult theme. I think this series has huge potential. Most of this book was a group of teens on a roadtrip and it was pretty slow (it was also unbelievable that these kids could find their way around the US without a map or their phones to guide them). The last 80 pages so were excellent and really picked up. Vivian really grew as a character. There were a lot of plot holes that I hope are addressed in the next book (more people should have disappeared than noted..I'll avoid spoilers but seems like any detective worth his salt could have figured out what happened..the rest of the world must be laughing at how stupid the American's are that believe all this stuff). Overall, fun start to a series and I can't wait for the next one to come out!